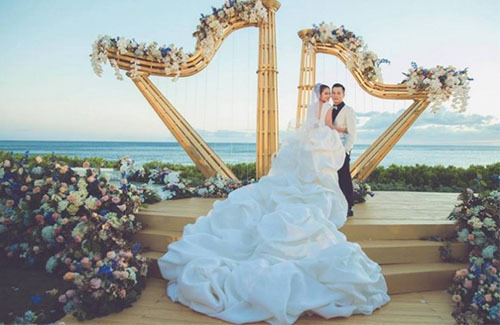 Taiwanese actress Ady An (安以軒) and Macau businessman Ievo Chan (陳榮煉) tied the knot in a lavish wedding celebration in Hawaii earlier this week. 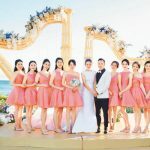 The 30 million HKD beach-side wedding hosted about 200 close family and friends. 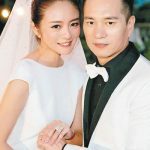 Included in Ady and Ievo’s bridesmaids and groomsmen troupe were Joe Chen (陳喬恩), Bianca Bai (白歆惠), Jordan Chan (陳小春), Danny Chan (陳國坤), and more. The celebrated started early in the morning; Ievo and his groomsmen went to surprise Ady, only to be blocked by Ady’s bridesmaids. The wedding door games included five obstacles, including rounds where the groom and his men had to wear bikinis, do push-up’s, spin, and shoe-hunting. 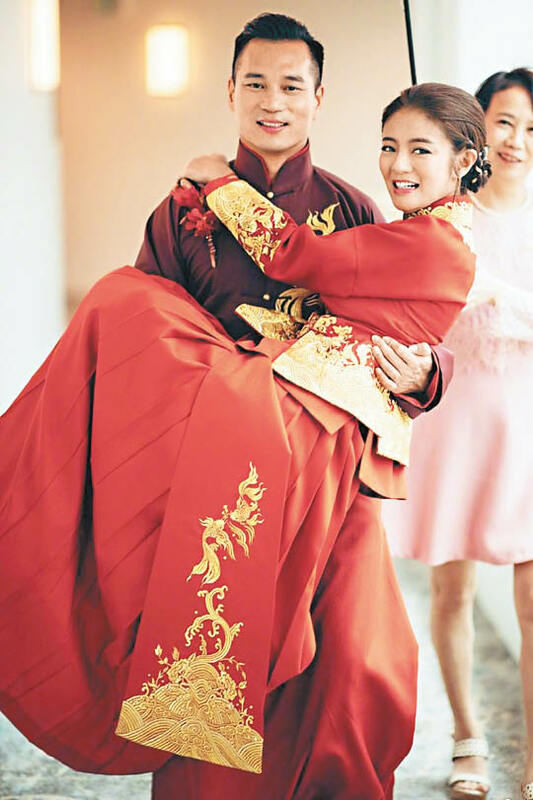 When Ievo passed all five rounds, he rushed into Ady’s room and carried her out, bridal style. 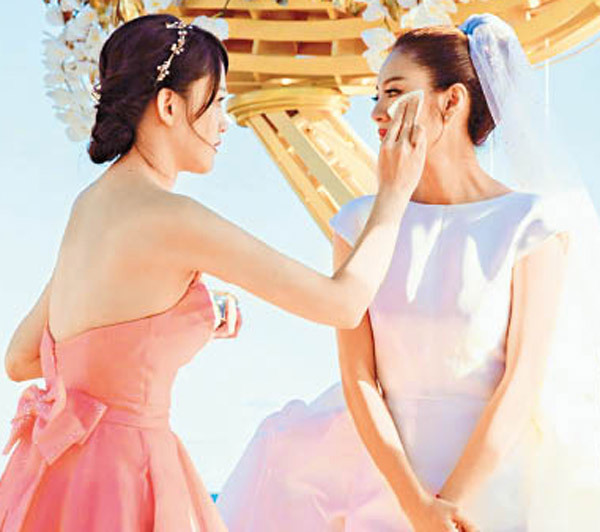 The wedding ceremony itself started at around 5 p.m. Ady’s long bridal train was couture designed by Stephane Rolland. 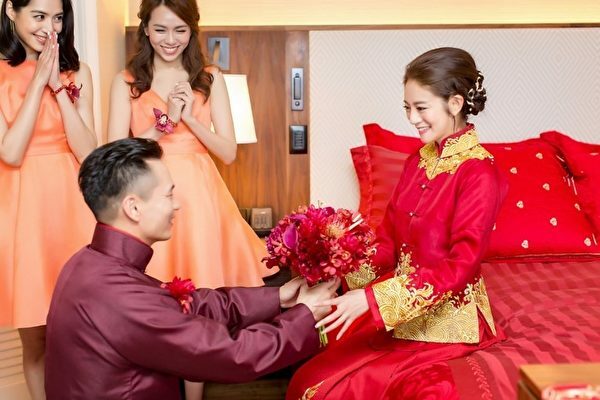 The crafty 36-year-old also had a hand in designing her Chinese wedding dress herself. 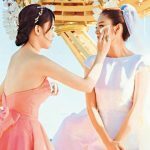 Congratulations to Ady and Ievo! Congrats to Ady and Levo. 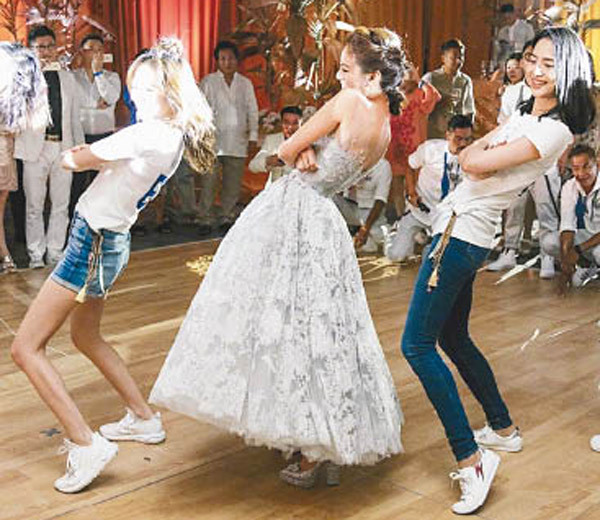 It looks like her wedding was lots of fun. She and her husband seem to be very much in love from what I hear. 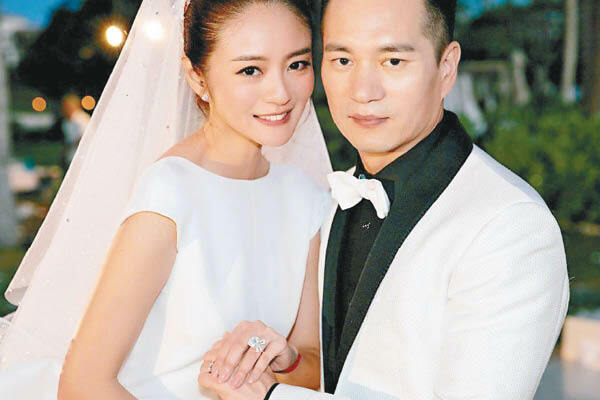 Ady’s ‘My Pig Lady’ leading man costar Mike He got married less than a week ago but for all the wrong reasons.